On a day when there was seemingly more interest in the national polls that were released, there were slim pickings on the state level. Actually, come to think of it, it may have been that there wasn't exactly a who's who of toss up states represented in the scant few state polls released on Tuesday. Much of that had to do with the Monday night debate. Most firms with the exception of ARG were in and out of the field prior to Monday, setting baselines before the foreign policy debate from Boca Raton. ARG, however, had a couple of toss up state surveys in the field in Nevada and New Hampshire that spanned the weekend and into debate day on Monday. 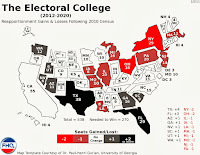 Outside of those two surveys, we got some confirming data from North Dakota and some recalibrating data from Connecticut and Minnesota. 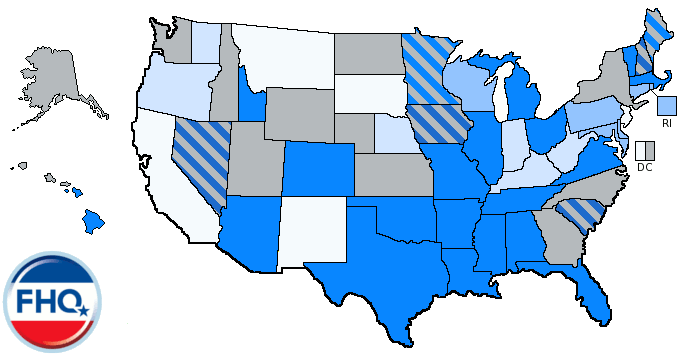 The Survey USA poll of the Nutmeg state was the firm's first venture into the state this year. The results were not inconsistent with what we have seen from other pollsters. 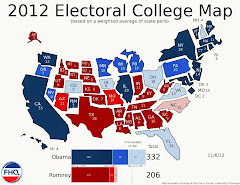 Connecticut is a blue state that has provided the president with a lead in the low teens throughout much of 2012. One of the exceptions to that rule has been Rasmussen and poll-over-poll, this latest survey was a near replica of the one conducted just after the Denver debate. Romney held steady with a share of support higher than in most other polls of the state and Obama gained a point. There really isn't that much to see here. Now, in Minnesota that may be a different story. The Obama +5 margin is as tight as any independent poll that has been in the field in the Land of 10,000 Lakes this year. But it stands to reason that Minnesota would draw closer in a way similar to what we have witnessed in the other Lean Obama states of late. The problem from the Romney perspective, as is the case in the other states in its category, is that Obama has consistently been over 50% there and the governor is lagging pretty far behind. The issue on the president's side is that the low end of the range of polling margins in the state may be just five points. Again, it is reasonable to conclude that Minnesota has narrowed some, but this one is perhaps a sign of other similar data to come, but an outlier until that end of the range is confirmed elsewhere. ARG last surveyed the Silver state back before the first debate and found the president up by seven points. That has been whittled down to two in the latest ARG poll in the state. Obama is down a couple of points since then and Romney is up three. This one really is quite consistent with the polling conducted since the first debate in Nevada. It is right on in terms of the president's share of support compared to both the FHQ weighted average and the raw average of post-debate data. The Romney number, however, runs a little ahead of both of those metrics. The ARG picture in the Granite state is slightly different than in Nevada. First, Romney is in the lead for the second consecutive poll from the firm. But secondly, that edge has contracted since the last survey. Obama gained a point at Romney's expense, cutting a four point lead a week after the first debate in half now. Of course, that is mostly just statistical noise, but ARG is showing a wider Romney advantage in the state where most other pollsters are not. For the most part, the polling in New Hampshire since October 3 has shown a race that is either tied or a one point lead for either candidate. Ah, North Dakota. There just hasn't been that much out of the Peace Garden state in the way of polling this year, but the data that has emerged has been clear in showing Mitt Romney in the mid-50s and Obama well back in the upper 30s. If you take the two releases from today and average them, well, that's what you get: Romney in the mid-50s and Obama in the upper 30s. It's a red state, folks. FHQ will spare you here. 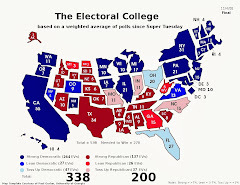 Importantly, the new information in Nevada and New Hampshire did little to uproot them from their current positions either on the periphery of or within the Toss Up Obama category. Of the rest, none obviously switched categories since the map is the same as it was yesterday and has been now for several days. On the Spectrum, only North Dakota moved, jumping into the far right column deep within the Strong Romney group of states. The Watch List? Well, Minnesota, Nevada and New Hampshire all had new polls released, but none of them affected the states' previous Watch List distinctions. It was a light polling day and thus a status quo sort of day in terms of the averages and where they have the states currently positioned in the rank ordering. Josh, I have been following this blog religiously since the primary race began. You've acknowledged that your model for the general election polling is very resistant to short-term trends in polling. However, this close to election day, and with less state-level polling compared to 2008, do you think your model might not be sensitive enough? For instance, looking at polling and other election models, plus listening to my own gut feelings, Romney seems to be up by two or three points in Florida, yet your models shows him down by .5%. To be sure, this isn't a huge difference, but we are only 13 days out from the election. (I hope I don't come off as too critical, I love this blog and I really like how you look at election polling, particularly the spectrum).